A look at smartphones, their growing presence in the mobile landscape and trends in consumer behaviour. Red Magma gives a fresh look to this slide deck with a weathered/illustrated theme. Well done. I love the consistency of the texture carried out through this presentation. The colours in this presentation are really nice, as is the textured look and feel throughout. 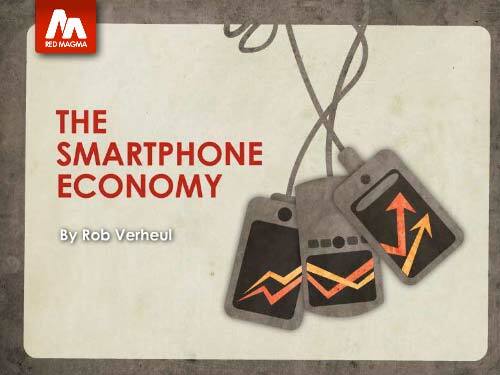 Hey – this is great overview of the mobile space and consumer behavior….please can I download it? Thanks for the note Jan, unfortunately the designer preferred not to share a downloadable version of this presentation. Thanks for visiting N&P!